Little Mix are a world-famous girl group, who are known for their pop hits and have amassed millions of fans globally. The band have over half a billion YouTube views making them one of the most successful UK groups. 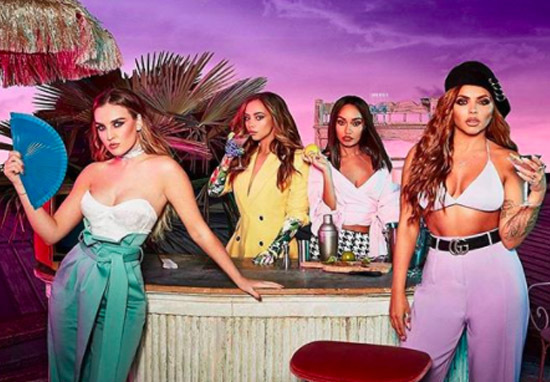 Who is Little Mix, how old is each member, when are their birthdays, how tall are they and what are their backgrounds? Little Mix is a British band consisting of four girls namely Jesy Nelson, Perrie Edwards, Jade Thirlwall, and Leigh-Anne Pinnock. Perrie Louise Edwards was born in South Shields, England on July 10, 1993. She graduated from Newcastle College with a BTEC in Performing Arts, she is 25 years old and is 1.63 metres tall. Jesy Nelson is 27 years old and grew up in Romford, London. She attended Sylvia Young and Yvonne Rhodes Theatre Schools. Jesy was born on June 14, 1991 and she stands at 1.65 metres tall. Jade Thirlwall is 26 years old and was born on December 26, 1992. She grew up in South Shields, England and went to South Tyneside College. Leigh-Anne is 27 years old and was born on October 4, 1991. She grew up in High Wycombe and worked as a waitress before joining Little Mix. Leigh-Anne is 1.66 metres tall. Why is Little Mix famous and what do they do? 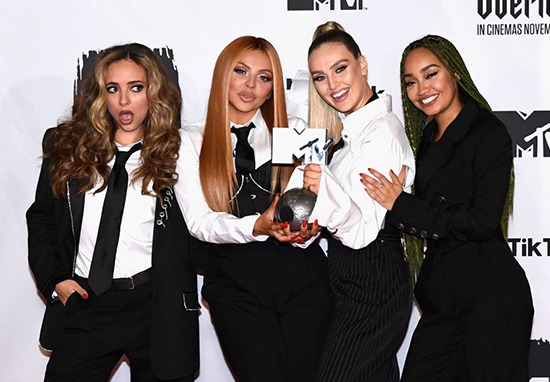 Little Mix is the only group to have won The X Factor – contrary to popular belief, One Direction came third on the show. The band released their first album, DNA, in 2012, which entered Top 10 album charts worldwide. Other popular records they have released include Salute in 2013 and Get Weird in 2015. The group has also released award-winning singles and hit album Glory Days. 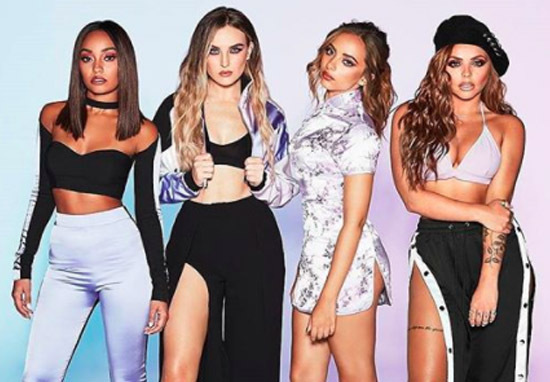 What is Little Mix’s net worth? Together, they have a reported net worth of $12 million. Perrie, Leigh-Ann, and Jesy have a net worth of $2.5 million each, while Jade has a net value of $3.5 million. Additionally, Little Mix has also released headphones, a perfume brand, and clothing in UK high-street chain Primark. How much does Little Mix earn? The band earned over £1 million after winning The X Factor in 2011. By the end of the following financial year, the group earnings were over £1.2million. 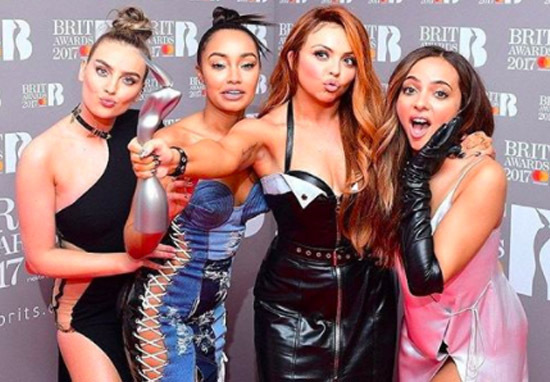 Has Little Mix broken up? They have not split despite rumours of a rift in the band in the past. The talented band are going forward as a group and have no plans to split up or pursue solo careers. Did Little Mix win The X Factor, when was Little Mix formed who was their mentor, how was Little Mix formed? The girl group won The X Factor in 2011 during eighth series of UK edition. After failing to get to the next level in boot camp group section individually, the judges in The X Factor recalled two members from each group to form a four-member band, known as Rythmix. They later changed their name to Little Mix due to a name dispute with a Brighton-based charity also named Rythmix. Tulisa Contostavlos mentored the group to reach the live shows in October 2011. The band performed a series of live shows and advanced to the final where they were announced winners of The X Factor in December 2011. What number one songs and albums has Little Mix released, when were they released, when was Little Mix’s first song released? The group’s debut song was Wings, released in 2012, which topped the UK Singles Chart. They released DNA as the first album in 2012. The second album was Salute, released in 2013. Following that was Get Weird in 2015, while in 2016 they released Glory Days. The group is still working to release more songs from their Glory Days album. What awards has Little Mix won? The band’s awards include three Glamour Awards, one Brit award, two MTV Europe Music Awards, and two Teen Choice Awards among others. Who are the members of the band dating, who was Shout Out To My Ex about, what songs have Little Mix written about exes? Perrie Edwards is dating Liverpool’s footballer Alex Oxlade-Chamberlain. Jesy Nelson was engaged to Jake Roche, but the pair split in 2016 and she is now rumoured to be dating Harry James. Jade Thirlwall has dated Jed Elliot since from January 2016. And Leigh-Anne Pinnock’s boyfriend is footballer Andre Gray. Shout Out to My Ex is one of several songs that the group has written about their exes. The song is about breakups, and is said to be a dig at Perrie’s One Direction ex-boyfriend Zayn Malik. After winning The X Factor, they signed with Syco Music under Simon Cowell.